A group of Las Vegas leaders is pleading with people to throw out their prescription drugs. The new committee known as the Prescription Abuse Leadership Initiative, RALI , launched this week and is made up of state and local community members and political leaders. The committee is putting their focus on prescription disposal right now. Local realtor Heidi Kasama says throwing out your prescription pills is more important than homeowners may think. "We watch people raid medicine cabinets when they come to open houses," Kasama said. "That's how a problem can start." 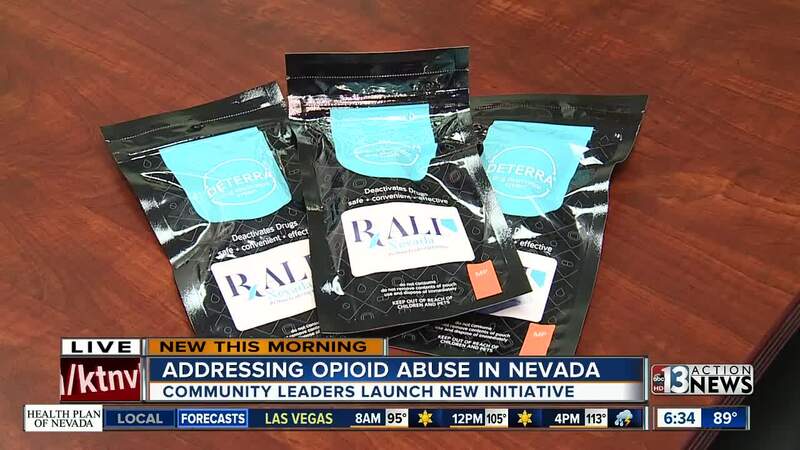 In the coming months, RALI will be handing out thousands of at-home prescription pill disposal bags. They are the first of its kind here in Las Vegas. The bags are made to neutralize your medication so that you are able to safely dispose of the pills. In 2016, more than 650 people died from opioid overdose across Nevada. Kasama has seen the impact of addition herself, when her brother passed from opioid addiction. "It started with a broken leg and pain medication and then he couldn't sleep and it became a tragedy," Kasama said. "It has such a grip on people that they can't unfortunately shake it." Many local pharmacies and police substations also have prescription drop-off boxes.